BYU-Hawaii student Christopher Johnson operates one of the school’s HITACHI SK-UHD4000 UHD cameras. Photo: Monique Saunz. Brigham Young University’s Hawaii campus (BYU-Hawaii) is taking its first step towards a 4K production future with the purchase of four Hitachi SK‑UHD4000 UHD studio and field cameras to provide superior-quality video acquisition for its diverse projects and long-term content archives. Situated on the island of Oahu in Laie, Hawaii, BYU-Hawaii hosts approximately 2,500 undergraduate students who represent over 70 different countries and cultures. At BYU-Hawaii’s Media Production Center (MPC), staff and students produce programming for use both within and beyond the 100-acre campus. 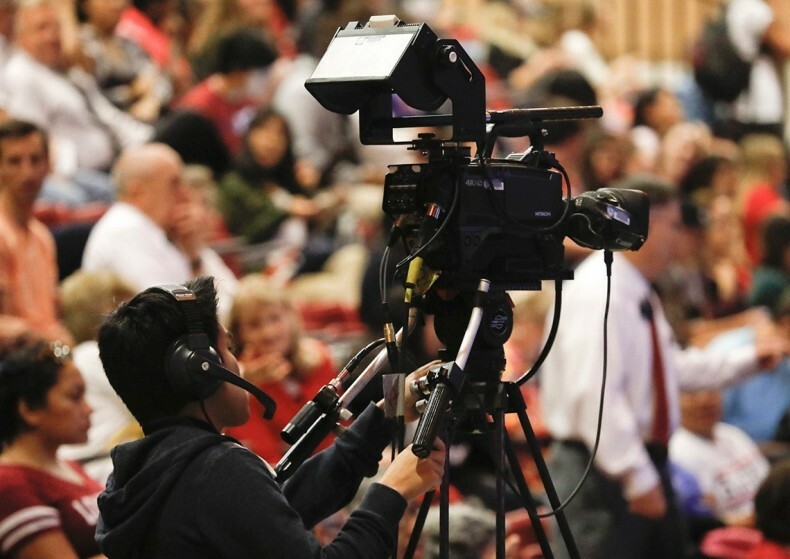 Internal productions range from recruiting videos to the live, campus-wide broadcast of the university’s weekly devotional on topics relevant to the Latter-day Saints Church. Original programs including educational shows, documentaries and live BYU-Hawaii Seasider volleyball and basketball games are broadcast on BYU Television, reaching more than 53 million U.S. households via cable and satellite, plus a global audience through its website, Roku channel and mobile apps. Student Hey Ho captures a BYU-Hawaii event with one of the university’s HITACHI SK-UHD4000 UHD cameras. Photo: Monique Saunz. “For now, we’re continuing to shoot HD for sports, but for bigger events such as the inauguration of our university president, we shoot 4K,” explained Nakamitsu. “The camera system’s concurrent output capabilities and built-in down-conversion let us archive in 4K while simultaneously broadcasting in HD.” 4K footage is archived to Atomos Shogun standalone recorders directly from the CCUs.